We have the most awesome E.D. ever. Period. We’re feeling really refreshed and loved at the tSB office today after a successful Soirée last week. Big shout out to our Peer Leaders (second-year tSBers) for their phenomenal energy and presence! Thursday evening was graced with the signature Seattle rain: a dripping ocean from an icy gray sky with gusts of chilly wind between the drops. In the midst of the pelting downpour, within the shelter of warm velvety walls in the Georgetown Ballroom, was an epic event readying to unfold. The smell of salty popcorn, corn dog hors d’oeuvres, and cotton candy circulated the room as youth tSBand, Smooth Technique, jammed out R&B and jazz tunes onstage. 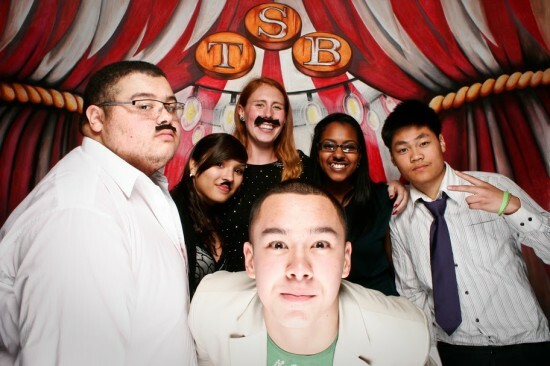 tSB youth were out and about, mingling and handling all the details to make sure the night ran smoothly, from the neatly folded napkins to the perfected heartfelt speeches about how tSB changed them as young adults. An aerialist danced in the air, our clown photographer Desiree (tSB alumnae!) snapped stills, and Patrick Wrights‘ circus-themed was spammed with happy faces as dapper youth and mentors served platters of food by The Leary Traveler. It was a great night to remember with heartfelt stories from the youth about how tSB has changed them as young adults, and a perfect opportunity for the them to mingle with the community whose support made it all possible. The soiree truly was a tSB family-made effort, and we appreciate everyone who attended and contributed to another year dedicated to pushing growing edges. 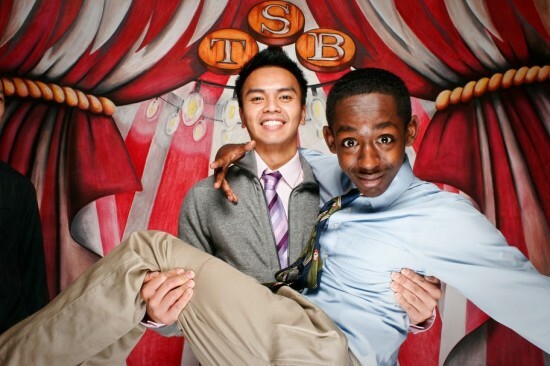 Dynamic Duo, PL Baati and mentor Aldrin! If you missed it, tSB is here year round! 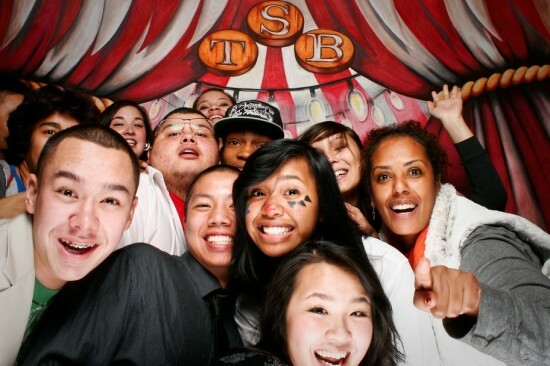 Check out the photos from the photo booth and Desiree Gross, and a clip made by the tSB youth for you! Great way to introduce the holidays with a bang!